In a hyperactive environment, how do you get your message through? It is important that your message be grounded in the language your customer understands. For most business transactions that language is economics. Your value proposition must demonstrate an economic return on management's "pain' if you are to close the deal. Over the course of several years of research as well as use in the field we have developed Five (5) categories of value derived from new products. projects. asset acquisition, and/ or any Capital or Operational procurement. 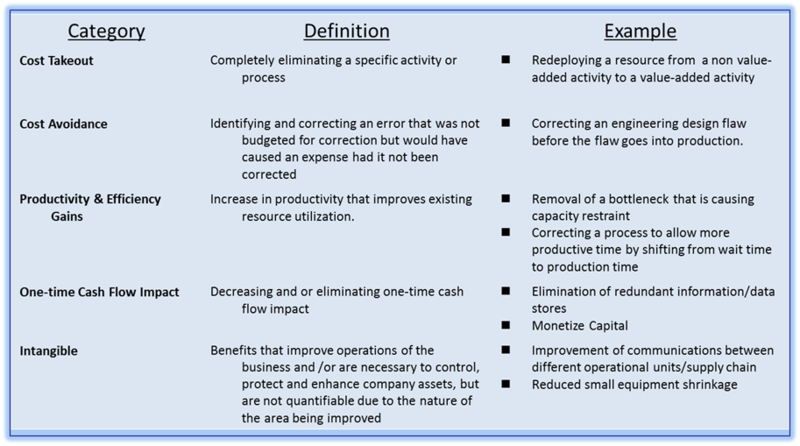 Over the life of the project the value assessment is usually expressed in terms of Net Present Value. Sales people are fond of making grand statements about their product or solution--My product can save you 50% or similar puffing. This quotation is from an actual sales presentation from a mid size software company, •decreased human error by 100k"
Believable. Demonstrable and Defendable solutions do not save 50 or 100%. Most likely. they save 3% in one department. 2% in another and so forth and so one So it is often several or even many components of value that add up to the larger figure. Most projects have many components of value and in one case almost 40 were identified in a major capital expenditure.